At the 2018 Certification Dinner in Warsaw we honoured the achievements of Top Employers from Poland celebrating the prestigious certification with leading HR peers and business executives. 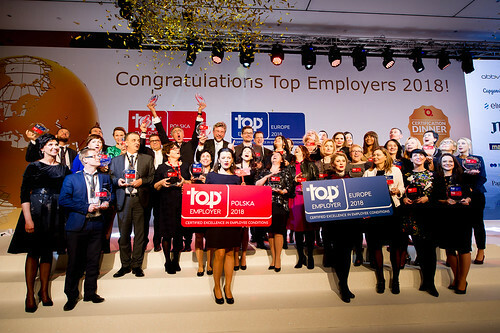 The 9th edition of the Top Employers Polska was celebrated in Warsaw. At this prestigious annual business event we certify organisations with excellent employee conditions, celebrating with HR Business Leaders, Directors and Senior Executives the Top Employers in Poland and on the continent.